These cute and colourful notecares help to remind us that spring is on its way. 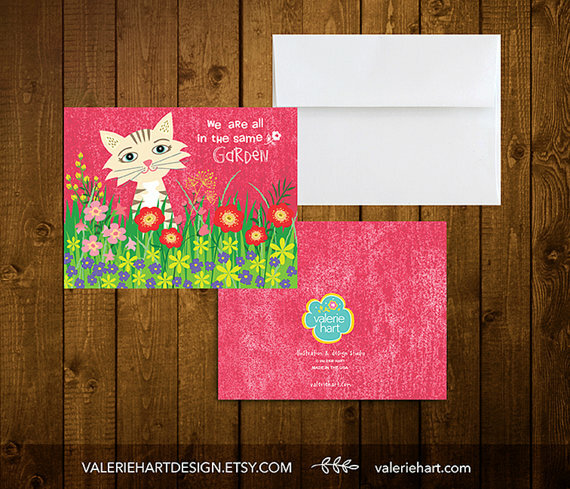 Notecards provided by illustrator Valerie Hart. Each set contains four cards with envelopes.